Huawei introduced the budget friendly Honor 6X smartphone last year in October which is already up for sale in several markets across the globe. The handset is available in Gray, Gold, and Silver color options, but it appears that Huawei may introduce new color options for the Honor 6X. 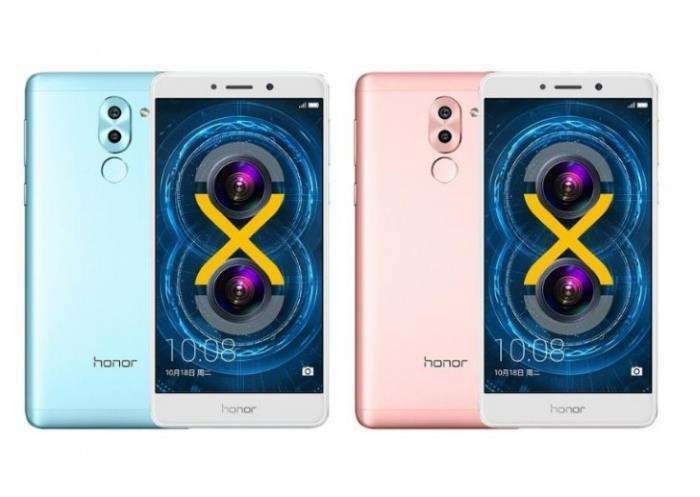 Recently, some images of the Huawei Honor 6X were leaked in blue and pink color options (as pictured above). The report didn’t mention anything about the launch of these new color options or the markets where they will launch at first, but it’s likely that they are for China, and may launch in other global markets later on. The handset comes with a 5.5-inch display sporting a resolution of 1920 by 1080 pixels, Kirin 655 processor, 4GB of RAM, 12 MP camera for photos and videos, a 3,340 mAh battery and ships with Android 6.0 Marshmallow as its operating system. We will update you as soon as the new color options are officially announced.